Energy poverty limits economic development, stifles people´s life chances and traps millions of people into extreme poverty. There are thousands of organizations around the world striving to scale renewables, increase energy efficiency and secure energy access for all. For African governments, as well as regional and international partners, regional organizations, investments in the energy sector should be considered a priority since they determine the sustainable energy development. ECREEE Capacity Building Program for RE&EE is a five years program covering the different capacity building topics identified during the preliminary studies. The CB Program have been designed taking into account the variations in terms of barriers for each thematic area according to the needs and gaps identified. The core objective of the programme is to support West African countries to meet their commitments under the United Nations Framework Convention on Climate Change. To achieve this, ECREEE will support the development and implementation of national measuring, reporting and verification (MRV) systems to determine the mitigation outcomes of renewable energy and energy efficiency projects and also mobilize climate finance for climate change mitigation activities in the energy sector through renewable energy deployment and the implementation of energy efficiency measures. The ECCP seeks to explore how efforts at meeting the energy access challenge in the region might be reconciled with the need to keep carbon emissions low. ECOWAS countries are facing an energy crisis that continues to undermine the economic development efforts in the region. The region´s low energy access rate affects disproportionately the lives of men and women, with women bearing more of the brunt as activities involving the use of traditional fuel fall more heavily on them. 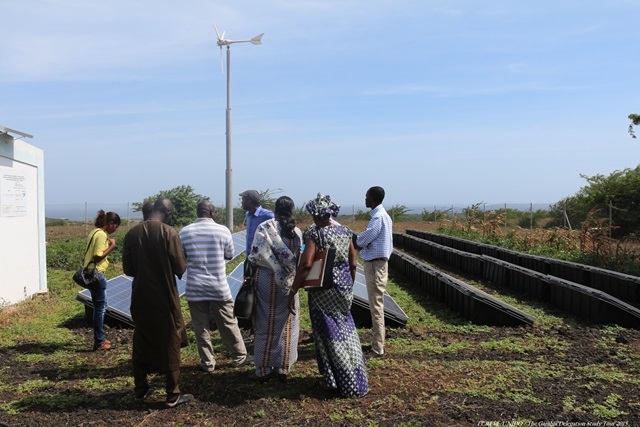 ECOW-GEN was established against the background that women’s potential, in the ECOWAS region, as producers and suppliers of energy services is underutilized and that empowering women and men to drive energy development in the region is necessary for the achievement of the Sustainable Energy for All (SE4ALL) goals in West Africa. Thus, the programme strives to close the gender gap in the energy sector by placing women and girls at the centre stage of energy development, while levelling the playing field for both men and women. The overall objective of the project development and finance program is additional energy production from sustainable, clean and affordable RE resources and more efficient energy production, transmission and consumption, contributing simultaneously to regional energy access and global climate change mitigation. This project will contribute to support a project pipeline over the next 7 years as big as 210 million Euros that would represent a potential investment of 500 MW of renewable energy. EREP and EEEP include a broad range of measures to be implemented at regional and national levels, and also represent the ECOWAS contribution to the achievement of the SE4ALL objectives. The main objective of the programme is to coordinate and monitor the implementation of the ECOWAS Renewable Energy Policy and the ECOWAS Energy Efficiency Policy on the regional and national levels so as to facilitate renewable energy investments and an improvement of the energy security, energy access and reduction of environmental externalities of the region’s energy system. The programme derives from the fact that regional integration can be a useful tool to facilitate the adoption and implementation of clear-cut sustainable energy policies and related legal and regulatory frameworks on national levels.